Last month during our ritual of visiting local library to replenish out intellectual assets, I came across this tiny little book sitting on the librarian's desk. The title was "The art of french cooking". I stayed put till family had checked out all options and picked their share. I promptly traded my management gyaan books with the cooking book. I could see from the corner of my eyes , what my husband was thinking. My obsession to pick up new things in cooking is partly attributed to the series of blogging marathon series. The "me time" is now replaced with think about what to cook, cook or capture what has been cooked. But I guess that is precisely what one wants to do with the me time. Doing things that others in the immediate surroundings normally object or do not want you to do. 3) Add salt, some black pepper and chopped spinach and let it simmer for 5 to 8 min. The mixture should slightly thicken. 4) Take a deep baking dish and grease it with oil. 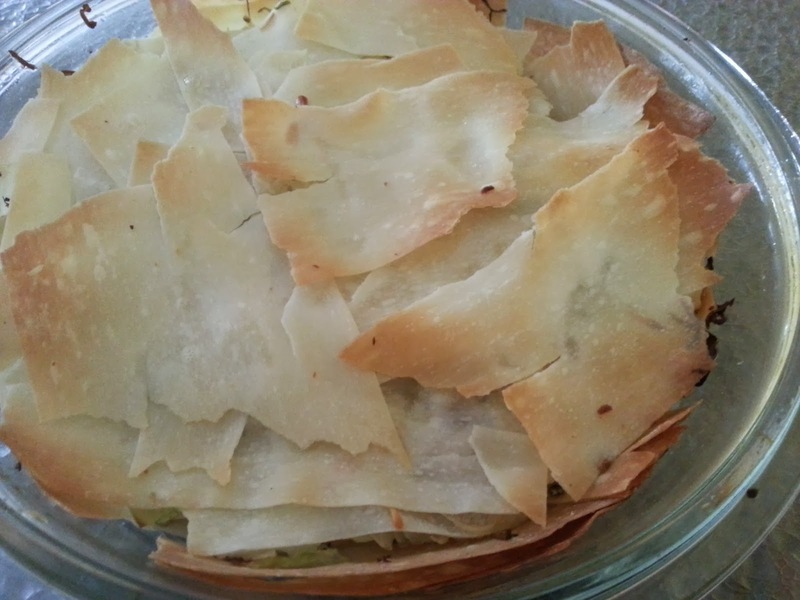 Place the wonton strips to cover the edges and base. While placing them on each other, keep brushing them with oil. Try to make atleast 2 to 3 layers for each part. 7) Then top up with ricotta and grated cheddar cheese. 10) Remove and serve warm. You know my husband is now used to this outlook of mine..:) so I don't even think much of it anymore, that book sounds interesting..good post..
That is new and interesting!! looks very tempting!! Wonton strips tart looks yummylicious ! 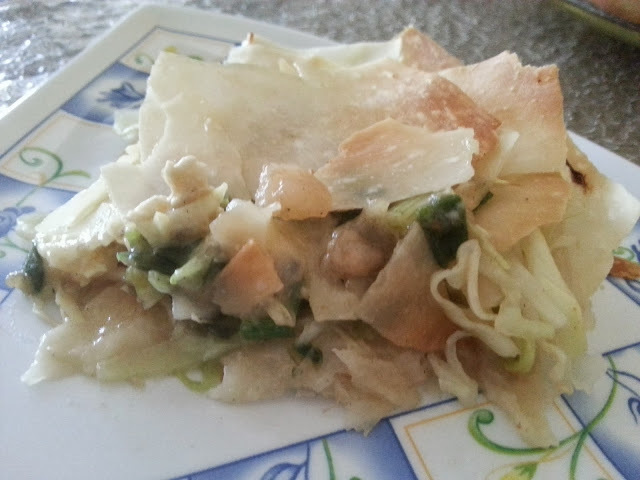 Thats brilliant idea of using wonton wraps for making tart..delicious tart and healthy as well. Cooking books really help me unwind, so I am not surprised. Its a different thing that I dont cook much from the books now :"D! 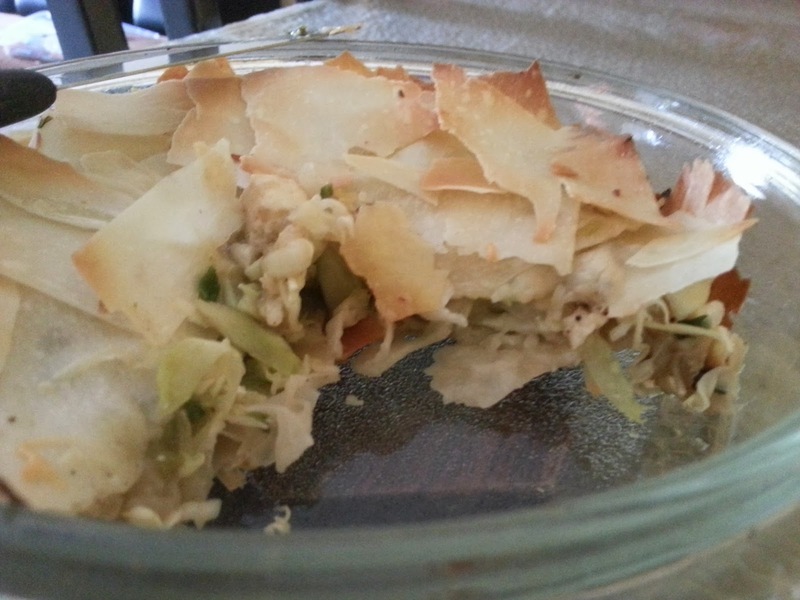 Smart idea to use wonton wrappers instead of phyllo. Tart looks flaky & yummy!! Interesting idea using wanton wrap for tart..Sure it is a winner recipe..